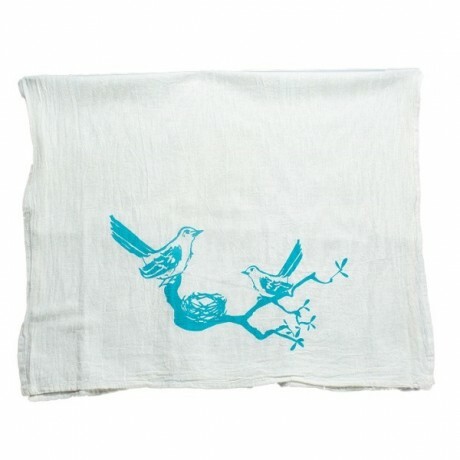 Two mockingbirds sing near their nest on this precious tea towel from Kimball Prints in Austin. Every towel is created by hand by Carolyn Kimball, so some slight variations are possible and make each towel unique. 100% cotton. Hand-mixed non-toxic ink. Machine wash cold. 22 x 38 inches.